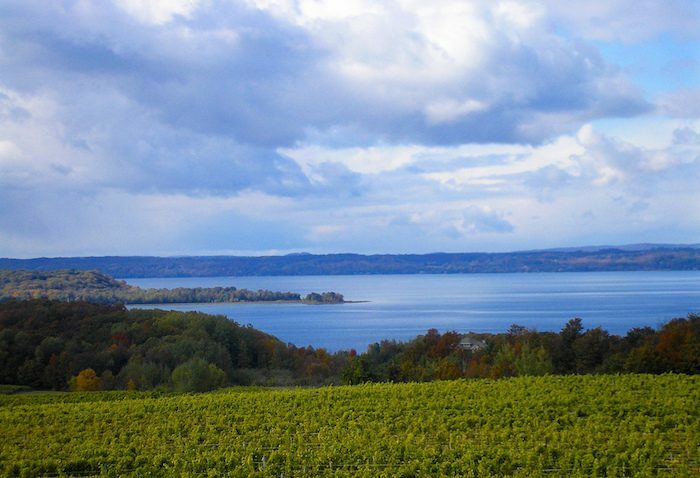 Grand Traverse Bay is comprised of an east and a west arm, with a long peninsula jutting out between them. This peninsula is known as Old Mission, and there are great running opportunities in this area, enjoying the bay’s waterfront and elegant homes. Peninsula Drive, which covers about 10 miles along the west coast of the spit, is an excellent option for an out and back (from Bryant Park to Lookout Point is a nice ~3.5 miles). On the opposite side of the peninsula, East Shore Drive and Bluff Road are nice choices as well. There are water views for a good part of these roads. Views are especially nice on the souther end of the peninsula. Note: There is a shoulder but it’s narrow and the roads can be busy in high season. Center Rd. is more interior and busy. The side streets don’t see much traffic so they’re fair game for a DIY run.